Almost every aspect of the global economic downturn, which started ostensibly in 2007-08 and is still ongoing to this day, can be traced back to the actions and policies of central banks. The Federal Reserve, for example, used artificially low interest rates and easy money to create a supposedly no-risk loan environment. This translated into a vast amount of toxic mortgage debt along with a web of derivatives (Mortgage Backed Securities) attached to that debt. The Fed ignored all the signs and all the alternative analyst warnings. Agencies like S&P backed the Fed narrative that all was well as they gave AAA ratings to endless toxic market products. The mainstream media backed the Fed by attacking anyone that argued the notion that the U.S. economy was unstable and ready to falter. In that era of economics, the truth was effectively hidden from the public by the system through relatively standard means. Today, things have changed slightly. Since the 2008 crash, numerous economists and former Fed officials have come out publicly to admit to the culpability of central bankers (sort of). Alan Greenspan first claimed in 2008 that the Fed had “made a mistake” in its analysis and overlooked the potential of a market bubble. Then, in 2013 he came out and admitted all the central bankers KNEW that a bubble was present, but that they believed the markets would self-correct without much damage to GDP or the rest of the economy. The mainstream financial media went on to blame the Fed for the conditions that caused the crisis, but made excuses for them at the same time. The narrative was that the Fed was blinded by peripheral factors and that it had been ignoring fundamentals. The Central bankers had “painted themselves into a corner” with low interest rates, and had done this unknowingly. This is the same narrative that Alan Greenspan used to dismiss any responsibility on the Fed’s part during the collapse of the market bubble in the 1990’s. Greenspan argued against the idea of raising interest rates in response to the bubble because it would “put the entire economy in peril”. Interestingly, raising interest rates into a debt heavy stock market and economy (a leveraged economy) is exactly what the Fed is doing today under current Fed Chair Jerome Powell. In short, according to Friedman and Schwartz, because of institutional changes and misguided doctrines, the banking panics of the Great Contraction were much more severe and widespread than would have normally occurred during a downturn. Let me end my talk by abusing slightly my status as an official representative of the Federal Reserve. I would like to say to Milton and Anna: Regarding the Great Depression. You’re right, we did it. We’re very sorry. But thanks to you, we won’t do it again. This might come as a surprise, but Bernanke lied. 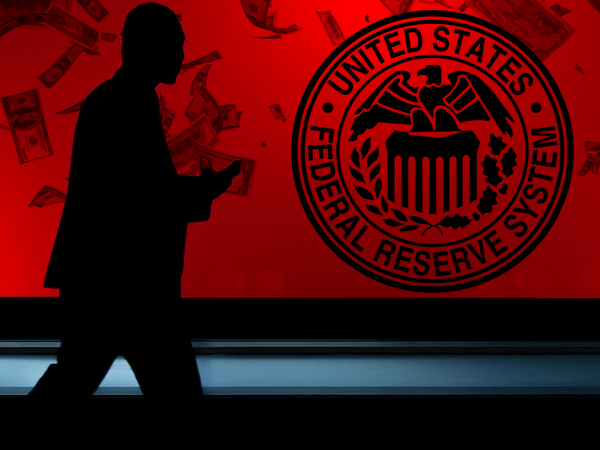 The Fed has continued the process of bubble-and-burst economics using interest rates and its balance sheet as weapons well into the new century, and yet very few analysts are willing to suggest that the central banks creates these crises on purpose. Throughout history, economic calamity has often led to consolidation of wealth and assets into the hands of the top 1%. This happened during the Great Depression as larger globalist banks, like JP Morgan, snapped up or destroyed thousands of smaller local banks until only the majors were left. In the wake of the 2008 crash, one need only examine the historic widening of the wealth gap, as the top 1% are set to take control of two-thirds of the world’s wealth by 2030. Or, we might take into account the absorption of the housing market by conglomerates like Blackstone as private home ownership declined after the crash. I believe that the next economic disaster will be more substantial than all the bubbles of the past 100 years combined, and the intent on the part of the banking elites is to obtain complete global centralization of all assets and resources. This time, though, the general public has finally learned to be more suspicious of the central banks and their motives during such events. Because of greater exposure after the 2008 crash, central banks and their related institutions cannot rely merely on the mainstream media or government entities like the Bureau of Labor Statistics to cover for them. They need a smokescreen. 1) The trade war provides cover for de-dollarization: With emerging markets previously addicted to easy money from the Fed, dollars were used to provide artificial support for their ailing economies. Now, with the Fed raising interest rates and cutting the balance sheet, that flow of dollars is drying up. Emerging markets are starting to look for alternatives as they have no other choice, and this means more bilateral trade agreements that circumvent the dollar. Lucky for the Fed, the trade war can be used a scapegoat for countries dumping the dollar in the name of striking an economic blow against the U.S. Nations like Turkey and Russia have already begun to threaten this outcome. 2) The trade war provides cover for inflation: With ever-increasing tariffs on goods and materials from around the world, retail prices are only going to spike higher, but the real inflation danger will come from the Fed. True inflation is already well above Fed targets. The money creation that the central bank used to stall the debt crisis created an even bigger bubble in the dollar itself. With new tightening policies will come a rush of dollars back into the U.S. as countries de-dollarize. All of this will still be blamed on tariffs and trade disputes. 3) The trade war provides cover for a renewed market crash: As the Fed launched its bailout measures and Quantitative Easing, it was emerging market stocks that first began to climb exponentially out of the deep pit caused by the debt crisis. U.S. and European stocks followed to the insane bull market highs witnessed recently. Now, as the Fed restricts stimulus and cuts its balance sheet, it is emerging markets that are crashing first. The question is, will western markets follow them down? I believe they absolutely will. Fed Chair Powell admitted to this outcome in statements he made in the October 2012 Fed minutes. He is well aware of the consequences of removing the pillars of low interest rates and Fed asset purchases, yet, he continues with the plan anyway. Why? Because a new market crash can be blamed on Trump and the trade war. Trump has all but taken full credit for current market highs, and now he owns whatever happens in the next two years. 4) The trade war provides cover for the demonization of conservative ideals: The concept of tariffs on foreign goods in order to encourage localized production and self-sufficiency is a tactic as old as America itself. It is conservative in nature and can be an effective measure in the right hands. That said, it requires an existing manufacturing base and relatively stable economic conditions. A debt addled economy desperately clinging to the reserve status of its currency and fiat inflation for life is not the best environment to launch tariffs. The bottom line is that America has little to no leverage against its competitors because we are more dependent on them than they are on us. The evidence of this is clear in the fact that the U.S. trade deficit only continues to climb as the trade war progresses. Some people have argued that this is due to U.S. retailers increasing purchases from overseas before tariffs take effect, but the minor increases in retail inventories of goods do not support this theory. The continued decline of inventories to sales suggests a declining consumer market in the U.S. as well. When it becomes obvious that the trade war is failing, the globalist dream of demonizing conservative economic models and values will be easier to achieve. As all fiscal crises are wrapped around the neck of Trump, and thus conservatives by extension, the public will be told that the only solution is to swing to the other side of the political and economic spectrum in an extreme way. In other words, high speed socialism and globalism. The success of this kind of propaganda will depend on whether or not people have been adequately educated as to the REAL source of our financial ills. If the word on the lips of the masses is “Trump did it”, then we are in trouble. If the word is “The central bankers did it and Trump was merely their proxy…” then we might have a chance to stop the ship from sinking completely. Brandon Smith has been an alternative economic and geopolitical analyst since 2006 and is the founder of Alt-Market.com. The views and opinions expressed in this article are those of the author and do not necessarily reflect those of Birch Gold Group.